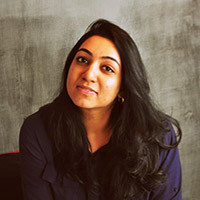 Reema Ahmad is Chief Editor at Ed3D, an Agra based educational institution focused on experiential learning. She led the Creative English programme at Ed3D for two years. Apart from conducting Creative Writing and Storytelling workshops for children, her main area of interest is Child Sexual Abuse Awareness and Prevention. She has conducted various workshops on the subject for adults and children over the past three years. She graduated from Lady Sri Ram College For Women with a degree in English Honours and completed her Masters in English and B Ed from Agra University. She recently undertook the Comprehensive Sexuality Education course for teachers offered by TARSHI. Poetry and content writing for websites and blogs are her other areas of interest.